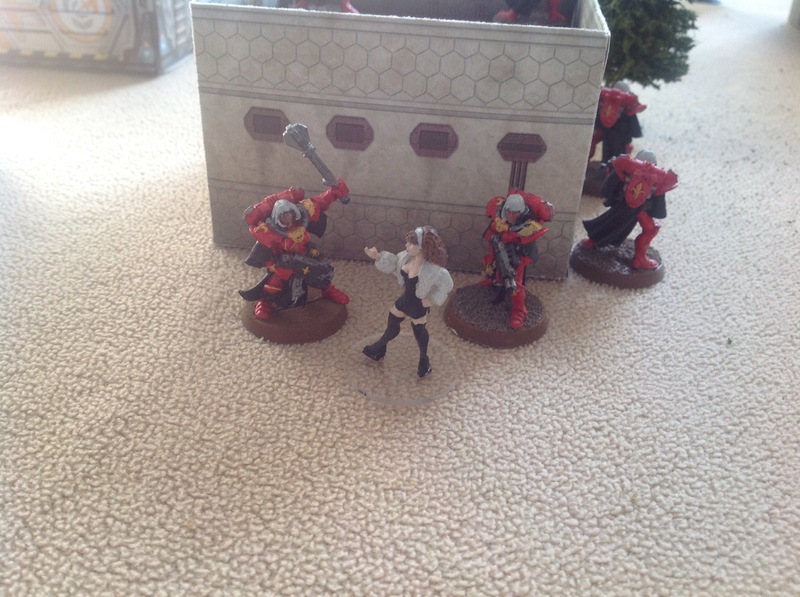 For today’s game, I dusted off some old Games Workshop miniatures, so I have Sisters of the Bloody Rose as a Free Company and the old “beakie” Space Marines as Gaea Prime Star Marines. I thought briefly about using the 4D-Kay fan rules, but those rules reflect the 4th or 5th edition of Warhammer 40K and not the rules over haul of 8th edition. Instead, I chose to play using only rules, weapons and attributes found in THW’s 5150 series of games. The Sisters are a Free Company in this game, so they have the faction attribute – Survival. The opposition were Gaea Prime Star Marines. In the GW universe, space marines have the same armor and weaponry as Sisters of Battle, however for this game, the space marines were quite a bit tougher with their Exo armor and Resilient attribute. For that reason, I chose that their weaponry would be confined to what was found on the Star Marine table. The Star Marine faction attributes are Quick Reflexes and Resilient. I played the Find Encounter and the object the Sisters had to find was a downed Pilot. The terrain was a small town grown up around a shipping depot – lots of buildings. The starting number of PEFs was 4. And the operation occured during the daytime. Campaign Morale for the Sisters was 3 and for the Marines it was 4. The Sisters entered the board in section 8. The PEFs were placed in Sections 1, 2, 3 and 5 in cover. The Sisters activated first. The Marines activate and attempt to move toward the Sisters. PEF A in section 1 fails its roll and stays put. PEF B in section 2 moves away to the table edge. PEF C in section 3 moves to section 6. PEF D in section 5 moves into section 8 out of cover. PEF D resolves into 3 Star Marines – a REP 5 Leader with LC-2, a REP 4 Grunt with a RFL & a REP 4 Grunt with a IGL-5. The Marines have some serious fire power. However, the Sisters win the advantage on the Action Table & that gives them an edge over the Marines in that they can fire first. Penthesilea & Hippothoe target all of their shots on the Leader. 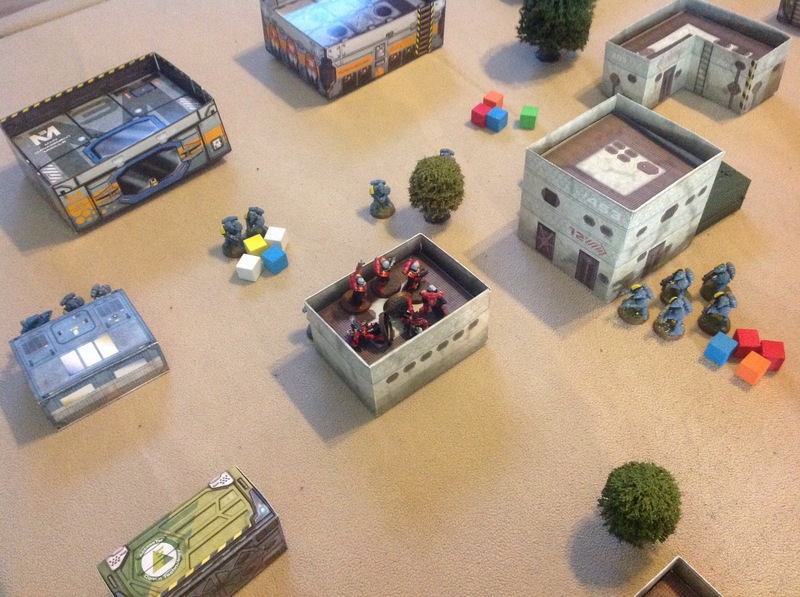 Clonie & Thermodosa target all of their shots on the Marine with the RFL (Rapid Fire Laser). Bremusa & Antandre target all of their shots on the Marine with the IGL (Inferno Grenade Launcher). Penthesilea fires & the Leader goes OD. Clonie fires & the RFL Marine goes OD, but not before forcing Clonie to duck back. Bremusa fires and the IGL Marine goes OD. Not a good start for the Star Marines. 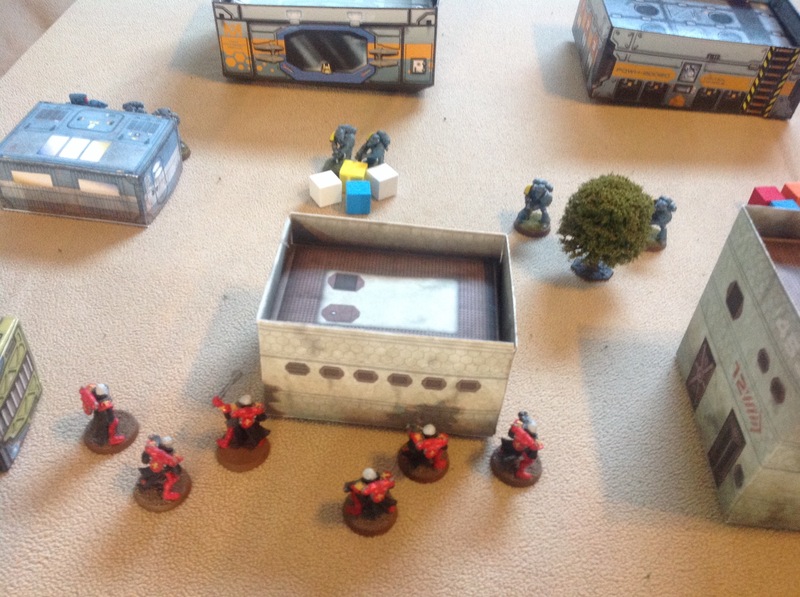 The Star Marines activate first and also win the advantage on the Action Table. PEF A moves from section 1 to section 4. PEF B moves from section 2 to moves to section 5. PEF C moves from section 6 to section 9. The Sisters then activate and enter a building in section 9. They generate a PEF, which turns out to be a single civilian. Penthesilea questions her & gains 1 clue. In turn 3, the Sisters stepped into it. They activated first & won the advantage on the Action Table. The advantage proved to be so fortunate. They moved from section 7 into section 4. On the Star Marines’ activation, PEF A already in section 4 resolved into 6 Star Marines. PEF B moved from section 5 into section 4 & resolved into 7 Star Marines. PEF C moved from section 9 into section 8. Getting to fire first saved the Sisters. One Sister, Thermodosa, was in a position where she couldn’t fire at all. The squad was split by a building with Pehthesilea, Clonie & Hippothoe on one side of the building and with Bremusa & Antandre on the other. 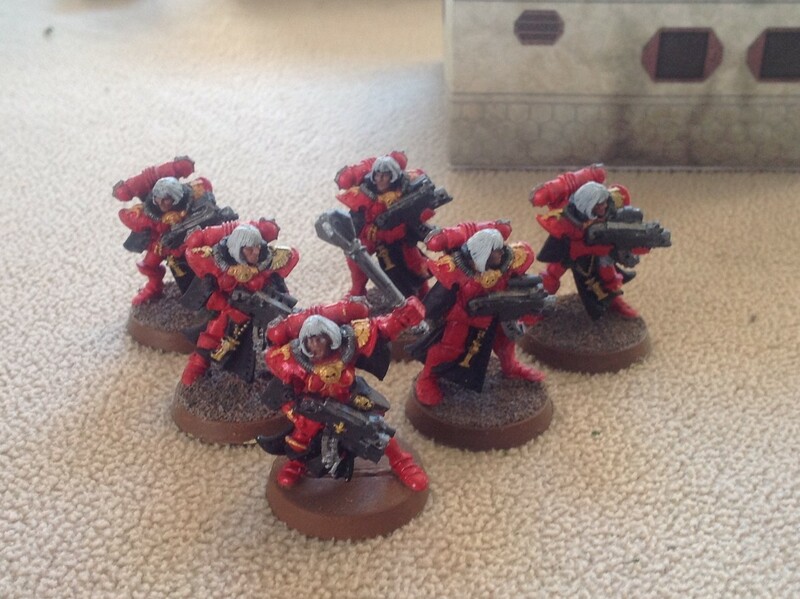 The Sisters poured heavy fire into the 2 squads of Space Marines. The Resilience attribute kept many of them from going OOF. 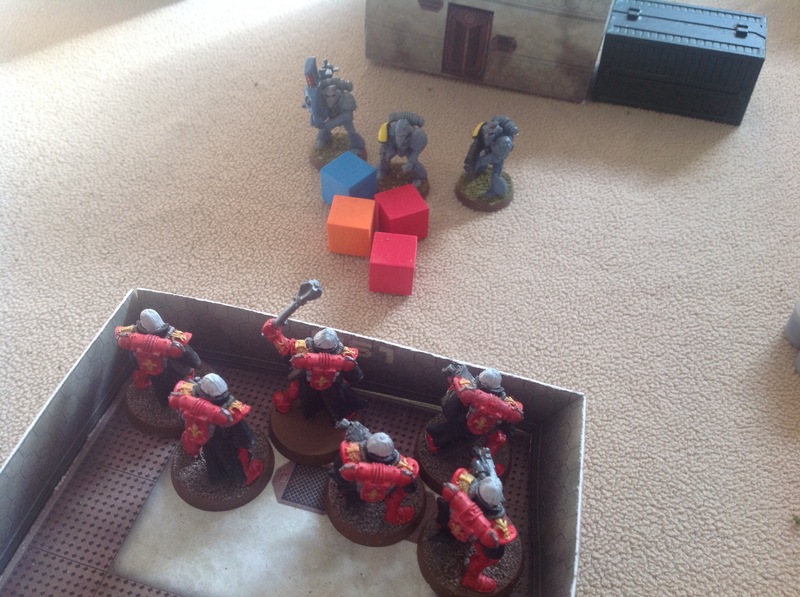 In the end, one Space Marine with a RFL went OOF & all but 2 were forced to duck back. On the Sisters’ side, Antandre was forced to duck back. In turn 4, things got worse for the Sisters. 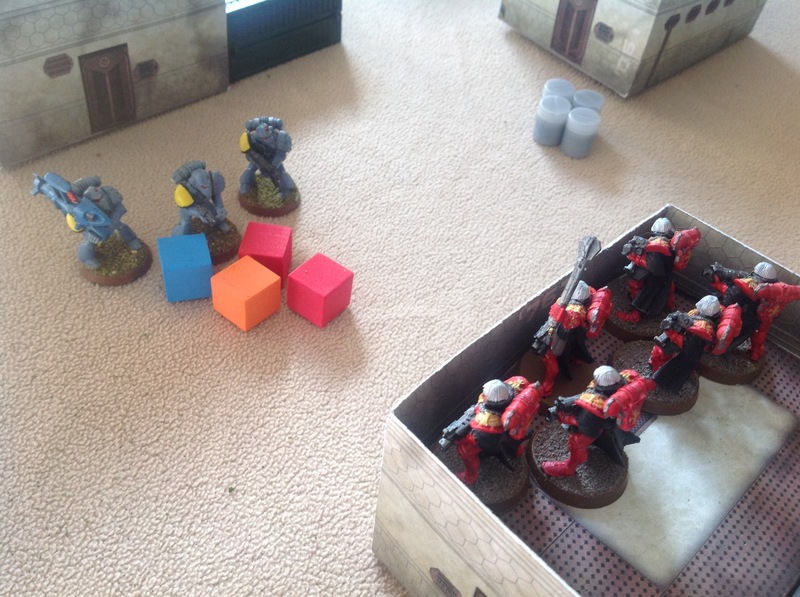 The Sisters activated first, but the Marines had the advantage on the Action Table. Facing odds of 2 to 1, Penthesilea led her squad into the building only to generate a PEF which resolved into 4 Star Marines. Having the advantage, the Marines charged into Melee. The Sisters fired at their assailants, but thanks to Resilience all of the Marines but one, survived and made it into contact. Of the three remaining Marines, the Leader & the Grunt with the RFL became OD. The lone remaining Grunt failed the Will to Fight and fled the board. But the Sisters did not escape unscathed, Antandre & Bremusa have both gone OOF. 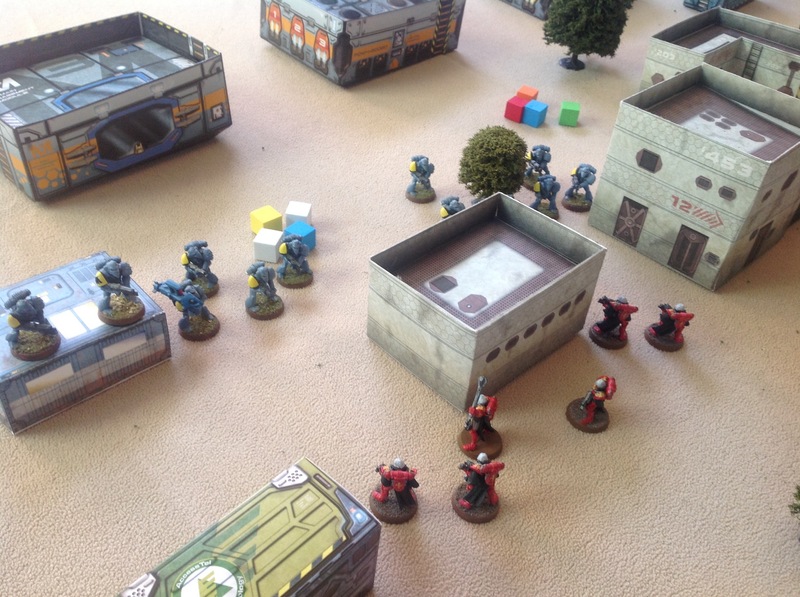 At the end of the turn, Star Marine squads A & B recovered from duck back. PEF C moved into LOS of the building holding the Sisters & resolved into a squad of 5 Star Marines. Holed up in a building with two wounded comrades, Penthesilea hoped for a respite long enough to get her squad back on its feet. But alas, the tide of battle was against her. 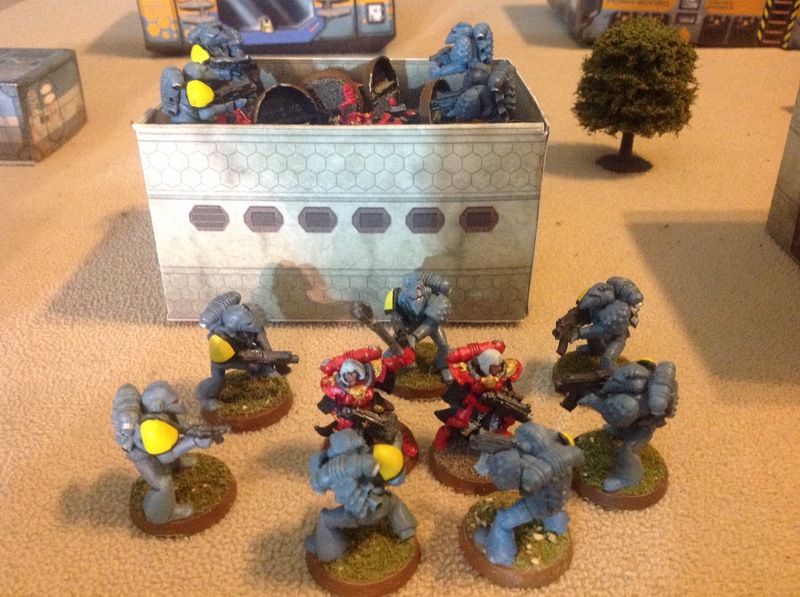 The Star Marines activated first and held the advantage. Squad A poured heavy fire and an inferno grenade into the building. Penthesilea was forced to duck back, but Clonie was able to return fire & take out the Marine with the grenade launcher. Hippothoe went OOF from gunfire. Thermodosa was forced to duck back. Squad B took advantage of the suppression fire and charged. As they reached the building, Clonie tossed a fragmentation grenade sending 3 Marines OOF & forcing 2 to duck back. The remaining living Marines made contact with Clonie & after a struggle she went OOF. Squad C mopped up. The Sisters who were OOF would receive medical care, they would all sit out the rest of the conflict as prisoners of war. The gods were against Penthesilea, just as they were against her namesake thousands of years ago. The game started out looking promising for the Sisters. They had early success, but then the dice turned on them. It was a good game. I hate to lose. I’m going to have to pull out the half-painted Battle Sisters that have been sitting in a box for far too long & finish them. 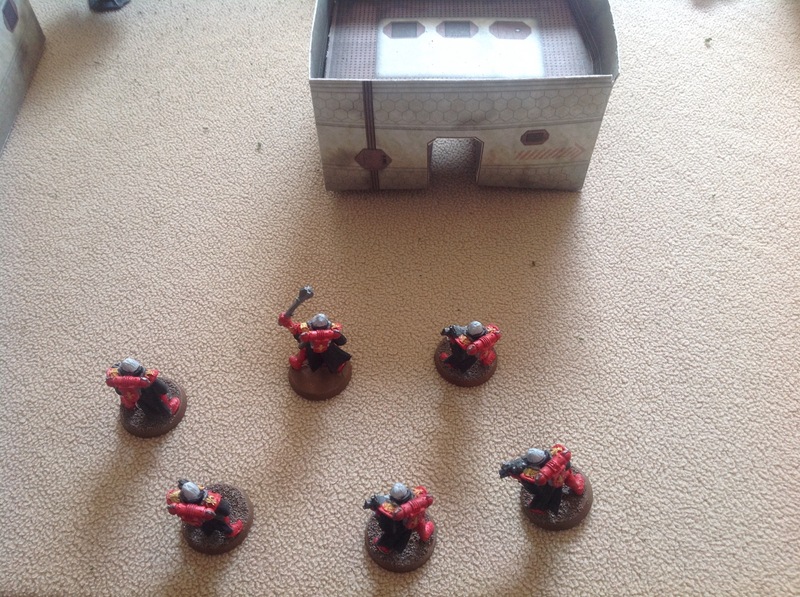 Next time, the Sisters will have a SAW – a Heavy Bolter or a Heavy Flamer. 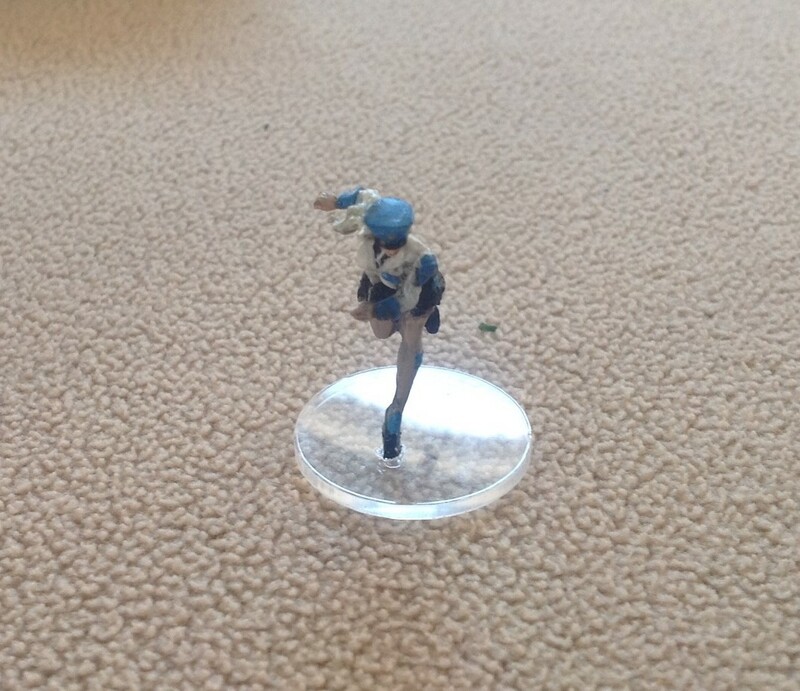 Even though I lost, I found this game played quickly and appears to be ideal for using a wide range of Sci-Fi figures. There are a few rules I would like to understand better & there are already some tweaks running in my mind that would make this game a great alternative to 40K. The table top was 4 24″x24″x1″ Foamular boards from Home Depot. The game mat was an old blanket from Wal-Mart, I think. All of the buildings are paper. Most are the Sci-Fi Style Buildings from Wargame Print. 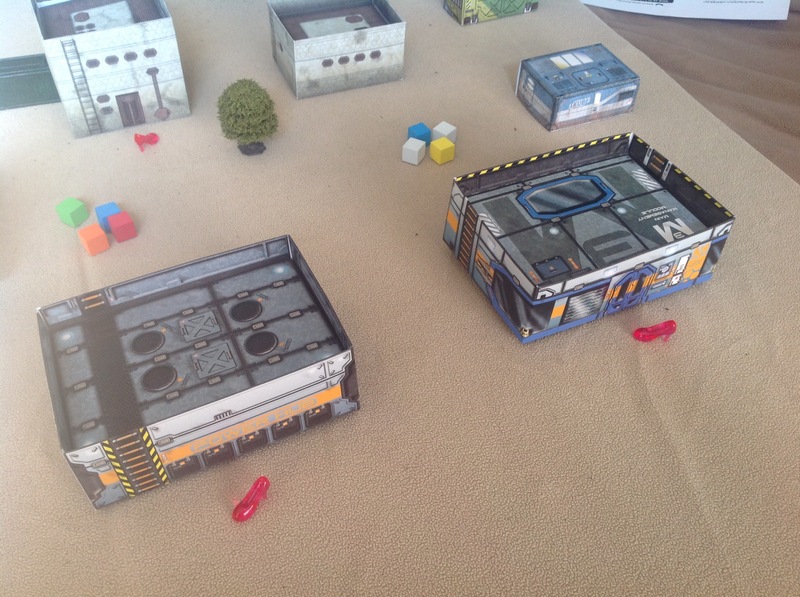 Three of the buildings and all of the shipping containers are from the Infinity Operation Icestorm starter box. 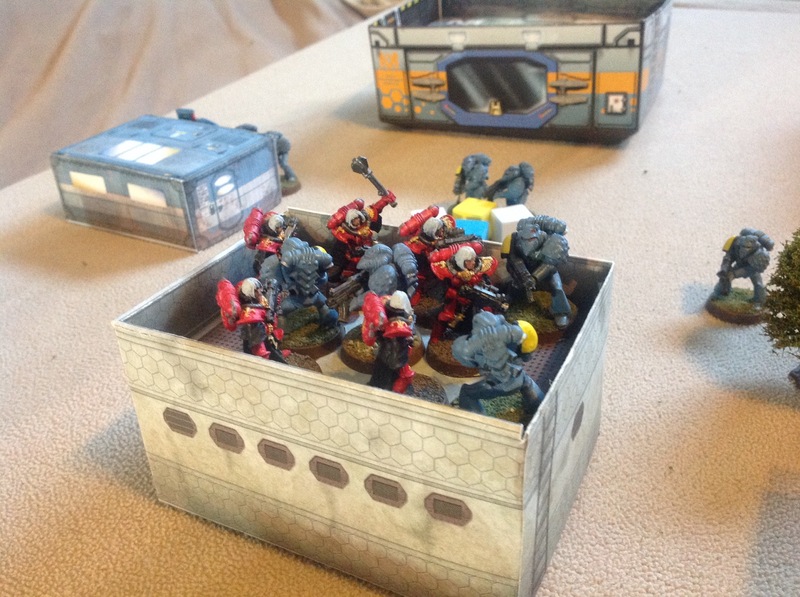 The rules used were 5150: Missions – Infestation from Two Hour Wargames. The Sisters of Battle figures and the Space Marine figures are from Games Workshop. The Space Marine figures have been long out of production and I understand the Sisters of Battle figures are hard to find. 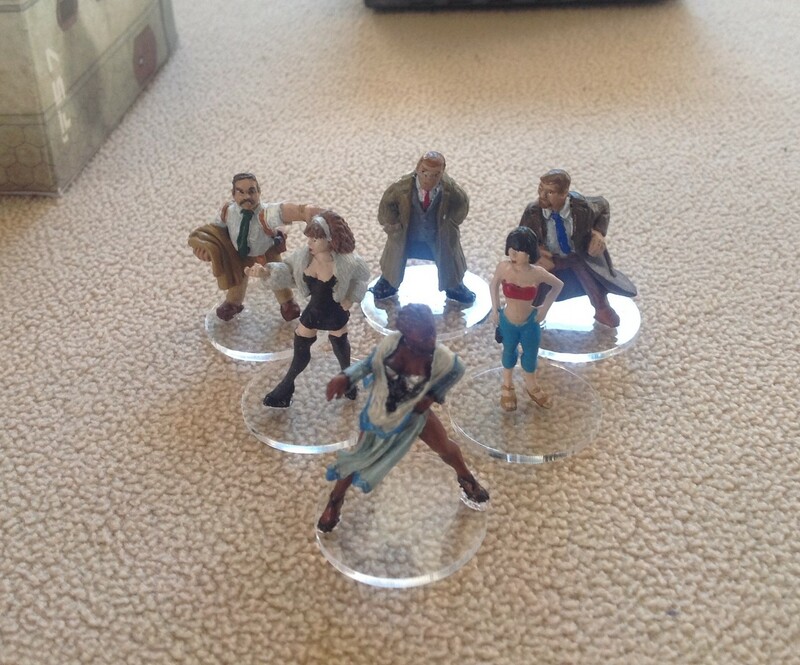 The civilian figures were from Reaper, Wargames Foundry & Infinity. 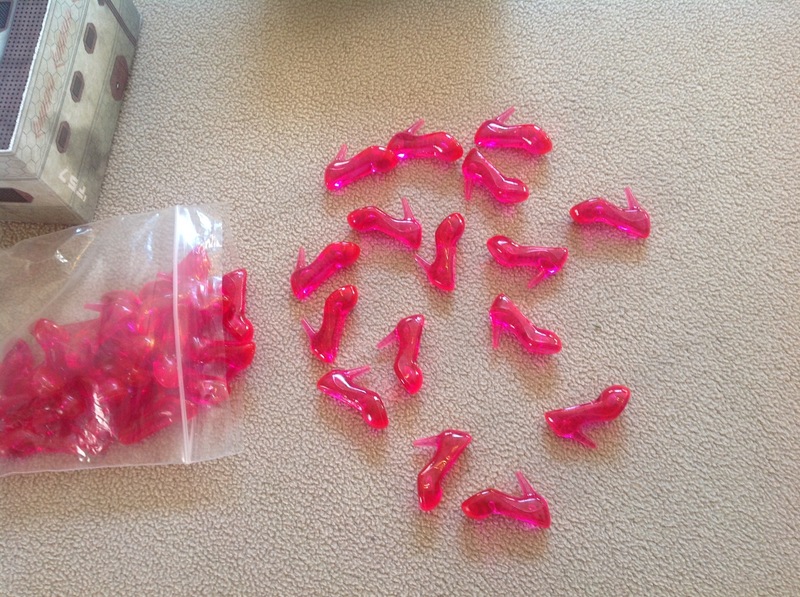 The PEF markers are from an aquarium Barbie set sold at PetSmart years ago. Photographs were taken using an iPad 2. No animals were harmed in the making of this post, but there’s a pesky fly just asking to get swatted! – As always, thank you for reading & comments are most welcome. Previous The Cool Coolie is on Sale Now! Next From the Painting Table: A Hacker!